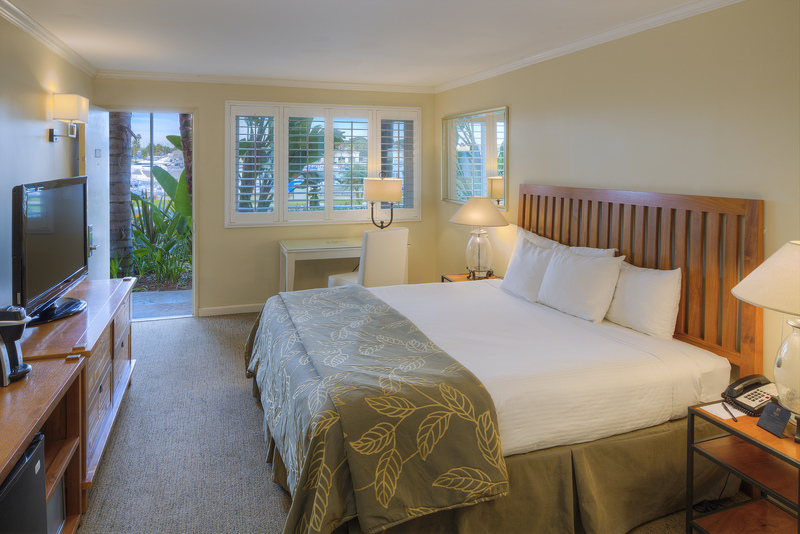 Free shuttle to SeaWorld, 2 large pools, marina rentals available, and in-room fridge and microwave. 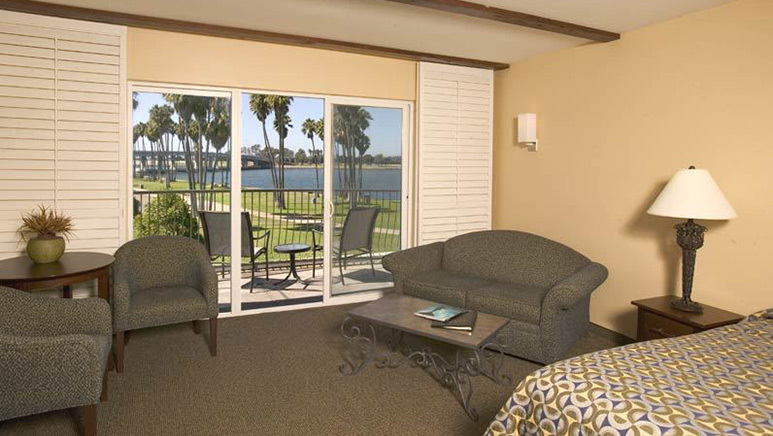 This beautifully decorated, all non-smoking San Diego hotel is located right on Mission Bay. 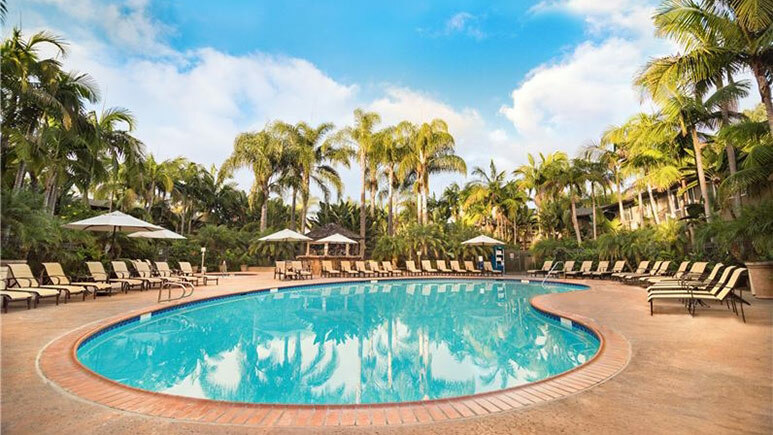 Relax at one of two swimming pools, play a game of ping pong or take advantage of a number of water rentals available at the marina. It's fun in the sun all the time at The Dana on Mission Bay. A courtesy shuttle to and from SeaWorld is also offered. This hotel is BEAUTIFUL! The views of the bay are amazing! 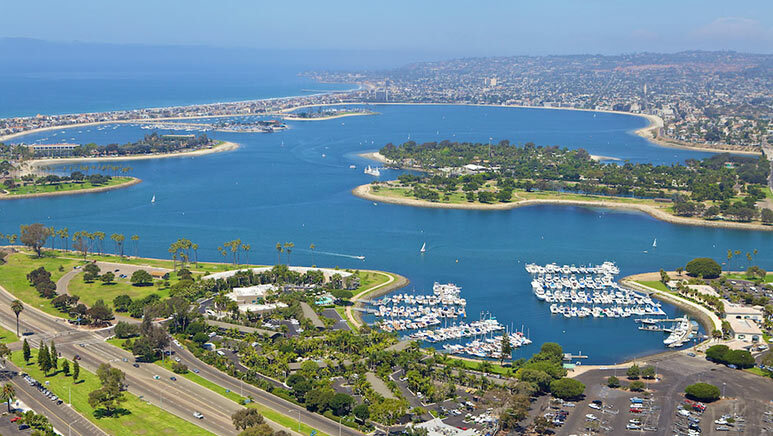 Each morning I went on a run the the trail that runs right near the hotel and along the bay and marina area. We saw sea otters playing in the morning! 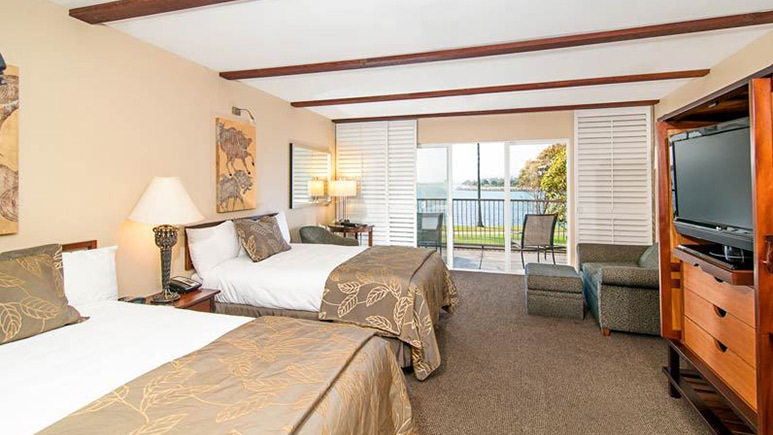 Such a convenient location too, so close to Seaworld. The rooms are very clean and well kept as well.